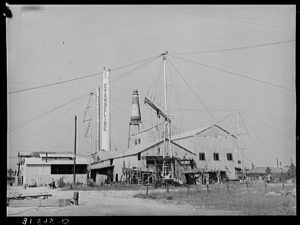 Family Legacy | Peppers Unlimited of Louisiana, Inc. 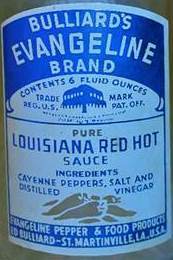 Considered a Cajun standard and a cultural icon, Edmund and Louise Bulliard bottled the first commercially sold Cayenne Pepper Sauce in their family kitchen in St. Martinville, Louisiana in 1910. From neighbors and friends to palates worldwide, Edmond and his nine children grew their handcrafted home business into an international industry, which at its peak employed close to 400 members of our community. One hundred years and four generations later, Peppers Unlimited of Louisiana, Inc., carries on the family legacy—bottling pepper perfection through a community-based business with a world reach. Often reminiscing how “he was raised making pepper sauce”; George, Sr. began working at his family owned pepper plant nearly as soon as he was able to walk! Known for his generous benefaction, George continues to make a difference by giving back to worthy causes throughout the community. Also growing up in the pepper business, George II saw his father’s dream, and it became his own. In 1993, soon after founding Peppers, George II was in an accident that left him paralyzed from the waist down. While many would have folded, George remained dedicated to his dream and returned to Peppers even more focused and driven to succeed. Strong willed, stern, and demanding to be sure, but also equally witty, compassionate, kind, and above all fair, George maintained the respect and admiration of all whose lives he touched. His contributions were a huge part of Peppers’ success and will never be forgotten. Although his flame burned out far too soon, his legacy remains in the memories of those who have had the pleasure knowing and working with him. George II was a true inspiration to all that knew him, and he will be missed. Alongside his father and brother, Johnny has been a key player in the building of Peppers Unlimited. As the General Manager, Johnny oversees all plant operations and manages the sales force. Highly respected by Peppers’ employees, Johnny is dedicated to ensuring the family legacy remains in good hands. Motivated by thoughts of his brother and driven by a passion for excellence, Johnny guides Peppers operations with an eye towards what’s best for the company and its employees and customers. Following in the Bulliard family tradition, Johnny also started in the pepper business in his early youth. Johnny’s experience and technical knowledge have been instrumental in Peppers’ development. Often referred to as the “Taste Master”, Johnny has developed over 100 unique formulas, as well as designed the processes and production lines to create those formulas. Dedicated to upholding the family legacy by ensuring Peppers’ customers are provided a consistent top quality product, the company’s direction is safe in Johnny’s capable hands. The legacy continues through George Bulliard’s Daughter. Honest, to the point and hard working, with a self-described good head on her shoulders, we call Leslie Bulliard Willis the secret ingredient in Peppers Unlimited. Like the company itself, she flies under the radar doing big business behind the scenes. With a degree in marketing from the Business Administration of University of Louisiana, Leslie worked in Inventory Management, Real Estate, and Advertising until 1997 when she joined Peppers Unlimited and assumed responsibility for managing our financial success. Continuing the Bulliard family tradition, Ryan, son of the late George Bulliard, II, is eagerly learning the ropes to carry on his father’s legacy and ensure Peppers continues to prosper for future generations. Earning a degree in Business and studying business law, Ryan is already demonstrating much of the same passion and dedication for which his father was legendary. Ryan is learning all aspects of plant operations, manufacturing, as well as sales and distribution; and intends to be a driving force in moving Peppers Unlimited forward. The Bulliard family is all truly happy that this “apple did not fall far from the tree”. Daughter of George Bulliard Sr., she graduated from University of Southwestern Louisiana with a Bachelors Degree in Fine Arts with a concentration in Photography/Graphic Design in 1992. She pursued a career in Graphic Design, opened her own business in 1998 and has been designing for 26 years now. Our amazing labels and photographs, among other things, are due to her great artistic ability!